I’m the USee. My name is clever, but what I can do is nothing short of fantastic. Here I am with my inventor, Kevin, at the United Nations Global Development Summit last fall. I was a hit. I’ll be making another visit to the UN later this month to reconnect with other organizations working on the Sustainable Development Goals. I’ll let you know how that goes. But what I really want to do today is to clear up some misunderstandings that I keep hearing, and to be fair, I’m a bit odd looking so I can see how misunderstandings would arise. 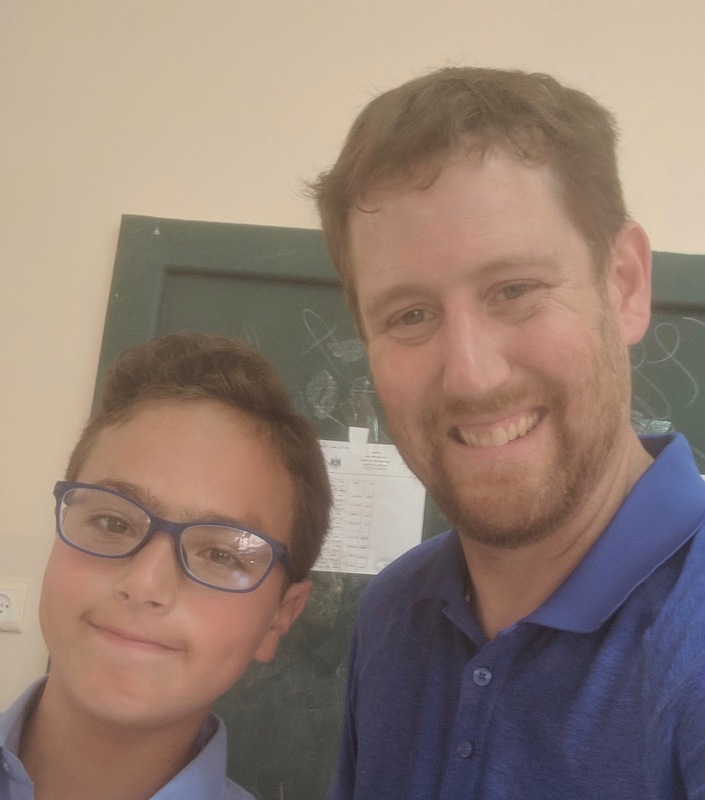 One knows instinctively – if you’ve seen eyeglasses before – that I belong on your face, but beyond that, if you haven’t ever met me before, or had the pleasure of chatting with a GV2020 staffer, you may be a bit confused beyond that. I’m a self-refractive diagnostic tool. I looked up refraction on wikipedia. Here you go. “In optics, refraction is a phenomenon that often occurs when waves travel from a medium with a given refractive index to a medium with another at an oblique angle.” Those words are no fun. They may be accurate, but no fun at all. And if that’s what people think of me, no wonder there is some confusion. For good reason the dials on my sides make people think of me as adjustable eyeglasses. But, I’m not. I do however adjust by the person wearing me, but that’s just the ‘self’ of self-refraction. 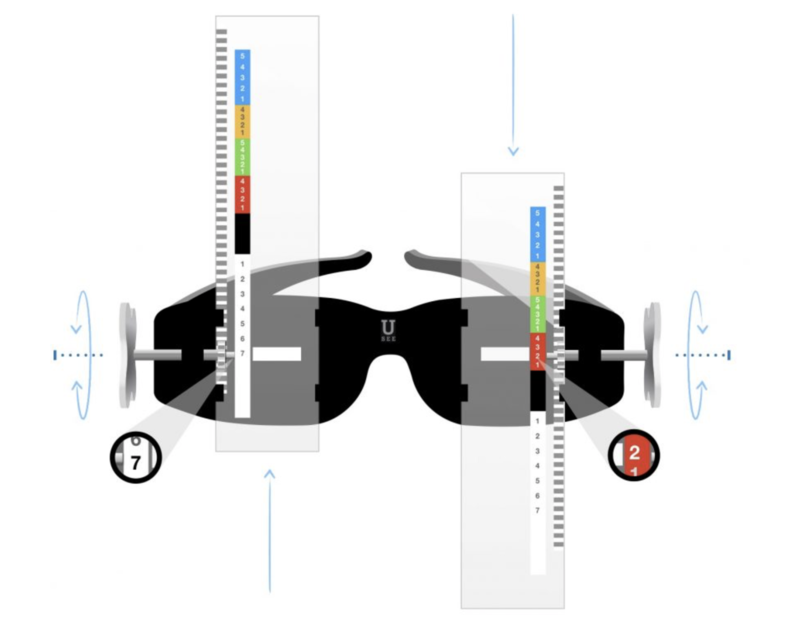 And as to refraction, let’s keep it simple, those of you with blurry vision…your eyeball doesn’t bend light accurately. The Rx eyeglasses you wear do that for you. But how do I help people get the eyeglasses they need? That’s where I start to get much more interesting than my description would lead you to believe. You know how you see people wearing eyeglasses that have a slit in them near the bottom half – for their reading glass Rx? Those bifocals and sometimes trifocals that people wear are just two or three Rx eyeglasses in one lens. When people put me on, and follow the directions of the trained refractionist, they dial through until they see the eye chart clearly. Voila. Well, not really. That is just the dial of #dialsnapwear. And of course, here is the wear of #dialsnapwear. A new recipient of eyeglasses in the West Bank. I’m not a pair of adjustable eyeglasses – those exist. Kevin took the idea of those and created me – with lots of help from physicist David Crosby. I am, however a very simple diagnostic tool that a person can put on to dial through my prescription lens bar until they see clearly. 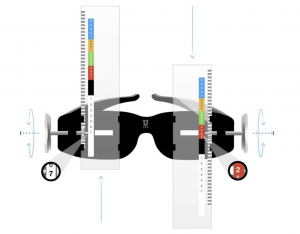 Trained refractionists snap together a pair of eyeglasses with the corresponding Rx, and the customer gets to wear a pair of eyeglasses tailored to their needs.